My website features a lot of my kids headshots, but I don’t often post about all the business headshots I do. It’s a big part of my business, so I figured it was time it got a blog post of its very own. Below, I’ll touch on general headshot information, but tailor it more towards corporate headshots. If you’re an actor or performer, or just someone looking for something a little different, let me know! Headshots are important for everyone: for executives, of entrepreneurs launching a new website who need image of their team, for members of an established firm, for job seekers, bloggers, public speakers, a LinkedIn headshot, public speakers, authors, online daters, etc. No matter who you are, you want to represent yourself and your business the right way. Your headshot sends a message: make sure it’s the right one! Clothing: make sure it’s consistent with the image of your current firm or industry. Don’t wear too much white. Skin: moisturize! Don’t arrive at the shoot soaking wet, but use some moisturizer leading up to your shoot to avoid dry skin. Hair: if you aren’t sure if you want to wear it up or down, arrive with your hair down and put it up at the end of the shoot. Makeup: again, this depends on your industry, but keep it polished and understated. Nails: traditional headshots don’t feature hands, so don’t worry about your nails. Lips: No chapped lips! The days before your shoot, run a dry toothbrush over your lips to get rid of chapped lips. Jewelry: keep it simple. Whatever you wear should be polished. Glasses: avoid transition lenses. Wear glare-free lenses if possible, but rest assured lens glare can be edited out. If this is a headshot for an existing corporate website, you’ll want to stay consistent with what your colleagues are wearing. Your HR administrator should have some pointers for you. Some industries are of course more conservative than others: a corporate law firm will have different expectations than a tech startup. If you are getting a new photo for linked in, or your own website, you of course have more latitude on what to wear. Generally, I encourage people to bring a couple of different layers or tops, so that we can get a few different looks. Avoid crazy patterns, or neon colors in clothing and neckties. Jewel tones (typically for women) are flattering, and photograph nicely. A dark blazer/suit jacket with a white or blue shirt jacket looks nice too. A gray blazer with a white shirt and no tie is a slightly more relaxed dressy look, as is a simple black shirt with no tie. Make sure your skin is hydrated, and that you are rested! Especially in brutal NYC winters, you should make sure your skin isn’t dry or chapped. Moisturize the night before the shoot. Don’t do any new-to-you hair removal techniques or facials or tanning in the days leading up to the shoot. You don’t want your skin to have an adverse reaction. If you have long hair: consider getting your hair blown out for the shoot. I like GlamSquad for this (that referral link gives you $25 off) they come to your home/office/hotel and do hair and makeup and nails. Drybar also does a nice job and has locations throughout NYC and offers blowouts. You can also have my hair and make up artist come to the studio and get you ready there before we start shooting. A blowout certainly isn’t necessary, but can look nice. If you have short hair: make sure it looks neat. Professional makeup is also not necessary, but a nice option. If you are choosing between make up and a blowout, go with a blowout. Again, I like GlamSquad for makeup. They can do light make up that makes you look slightly more polished. If you want hair and makeup, my artist can do it for you at my studio before the shoot. Traditional headshots don’t show the subject’s hands, so in this case your nails actually don’t matter. Typically, I tell people to get a manicure if they are able, and at the very least, NO chipped nail polish. These are good guidelines to have for a shoot. For corporate headshots you can probably just ignore all this, since your hands won’t be in the photos. However, if you are doing a branding session that combines headshots and, say, photos of cooking or presenting a product, definitely makes your nails are looking their best. Also, if you want to try a few different poses (for example some 1/2 length, or 3/4 length) it’s important to have your nails looking good. Make sure your lips aren’t chapped. Wear chapstick in the days leading up to your shoot. The night before the shoot, run a dry toothbrush over your lips to “de-chap” them. If you typically wear lipstick or lipgloss, bring it to the shoot! Again, this varies by industry. Are you an investment banker? A jewelry designer? Your industry and position will inform your jewelry decision, but all jewelry should be cleaned before the shoot. The jeweler who sold you the piece will probably be willing to clean it for you, or you can do it yourself. I like this stuff on amazon (note: don’t use it on pearls!). You are of course welcome to wear your glasses to the shoot. Please avoid transition (dark) lenses. If you normally wear glasses but plan to take them off for the shoot, please remove them a couple of hours in advance, if possible, so that you don’t have indentations on your nose. I will retouch your final headshot. I’m an experienced retoucher, and I enjoy the process. I keep things looking natural. Standard retouching includes: eye brightening, teeth whitening, slight skin smoothing/wrinkle reducing. If you have any additional retouching requests, please let me know. Don’t be shy – I’ve heard it all! Your shoot is all about you, and I want you to be relaxed and confident. If there’s something you feel self-conscious about, let me know. We can plan the lighting, posing and retouching accordingly. Give some thought to whether you want your headshots indoors, outdoors, or both. The location should match the message and general vibe of your headshot. An indoor studio image with a plain background is of course a versatile option, but you may want your image to tell more of a story. A chef may want to be photographed in a kitchen; a Hamptons realtor may want to be photographed at the beach; a doctor in her office, etc. I’m happy to chat about this, and help you plan the perfect shoot. Ready to book your headshots? If you’re wondering what it’s like to work with me, you can check out my reviews here and here. Daisy Beatty is a portrait photographer based in Manhattan and East Hampton, NY. 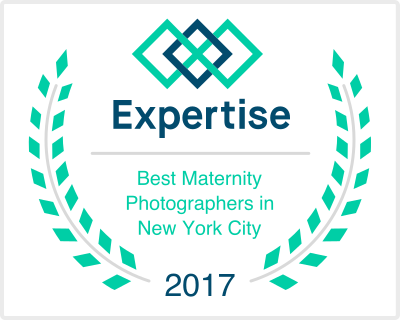 She specializes in vibrant portraits of families, maternity, and newborns and winning headshots of actors, performers, executives, and dancers. For more information about corporate headshots nyc or other types or portrait sessions please contact her or visit her website.